Anna van Densky: According to reports from Paris reporter Gaspard Glanz has been handcuffed. Arrests have multiplied, also a journalist from French newspaper Le Figaro has been taken to custody by an agent of anti-riot police during 23 week of protests of Yellow Vests named Acte XXIII. The Vth Republic under Macron‘s leadership swiftly degenerates into Banana Republic, using police batons to oppress wide-spread public discontent. Citizens with shot off eyes, ripped off limbs, and reporters handcuffed – is that European “Renaissance” Macron’s party “En Marche” is marching to?.. “I adore to inhale the smell of tear gas in the morning“, wrote Gaspar Glanz on his Twitter micro blog page. “Ideals are peaceful history is violent” is the second line, defining his vision. “One tries to prevent independent journalists by fear. The censorship of absence on spot” Gaspard Glanz writes, explaining governments’s policy towards independent press, covering Yellow Vests protests against Macron‘s presidency. Anna van Densky OPINION The House of Commons approved Theresa May‘s postponed Brexit deadline until June 30, which the British Prime minister will defend today at the European Council in Brussels. The text was approved by 420 MPs against 110. The leader of Brexit party Nigel Farage has been ironical about the upcoming meeting referring to German Chancellor Angela Merkel as the “boss” British Prime Minister is going to consult. However there is a clear message from Brussels to the Westminster – there will be no other deal, but the endorsed one, although the additional political declarations are possible. No need to add that they are not legally binding, and are not an integral part of the Article 50 Agreement. In fact the additional time, if given to May government, is granted for making an extra effort to pass a the deal via the Westminster. The entire political struggle is about changing perception not the essence of the Agreement reached. Shifting of the deadline to the end of June 2019, as President Macron is intended to offer, will result in participation of the UK in the EU parliamentary elections, because there is such an obligation for a member-state in the Treaty. (Image above : Europarliament, Strasbourg). In case the Remainers win a majority of seats among UK MEPs in the European Parliament, they will have an opportunity to reverse the Brexit process in a different ways: postponing further or calling for the second referendum. As Theresa May warned – the rejection of her deal might also mean never leaving the EU. Brexit will be gradually transformed into elusive Fata-Morgana. Anna van Densky from EP, Brussels. The Members of European Parliament (MEP) raise concerns about perspective of the UK remaining for upcoming European elections, being “one foot in, one foot out”, as Guy Verhofstadt (ALDE, Belgium) said. The perspective of electing even more Brexiteers is definitely not inspiring MEPs, open to endorse additional political declarations, if necessary, however standing firmly by the EU Commission, and Council, refusing the revision of the endorsed deal. Si le Royaume-Uni est en mesure d'approuver l'accord de retrait avec une majorité viable d'ici au 12 avril, alors l'Union européenne devrait accepter une prorogation jusqu’au 22 mai. I will do everything to prevent a disorderly #Brexit. While the attempting to convince Westminster to endorse the deal the European Commission President Jean-Claude Juncker repeated the UK can have one more extension on condition of the Article 50 Agreement (Withdrawal Agreement) endorsement, and proposing clear plans of moving forward with the implementation. The prolongation of uncertainty is not an option. The tone of the EU top executive was dead, and while he was offering more political declarations. Juncker’s glances were gloomy, while he switched to the part of speech, describing damages to EU, and even more so to British economy if the no-deal scenario takes place by default. He admitted to read the speech first time during his intervention in Europarliament, because “every word is important“. “If the UK is able to approve the withdrawal agreement with a viable majority by 12 April, then the European Union should accept an extension until 22 May“, Juncker concluded. Responding to the worst fears of MEPs, Gerard Batten (UKIP, UK) called Britons to vote massively for UKIP in case the country participates in European elections in May. There are no reasons for optimism in Brussels, where the heads of states and governments are meeting for the European Union Summit on March 21-22: there is hardly anyone who believes that the Westminster will endorse Theresa May‘s Article 50 Agreement. In absence of any changes in the text of the negotiated for two years deal itself, it is only context that changes, the perception of losses endorsing the deal, or preferring no-deal damages.However it is unlikely the MPs will change their minds, vote for the Agreement they have rejected two times already. “On the Brexit, we need to be clear about ourselves, our British friends and our peoples. The withdrawal agreement cannot be renegotiated. In case of a British negative vote, we would go to a no-deal” explains Emmanuel Macron. At his arrival to the #EUCO the President ensured that France is ready for no-deal scenario, and will support enterprises, especially small businesses, but also fishery. However in case the Westminster decides to accept May’s deal next week, the EU is ready to extend the Brexit deadline to 22 May, a day before the European elections vote will start. The top EU Brexit negotiator Michel Barnier said, while arriving to the Council, that a short extension can be only “conditional”. 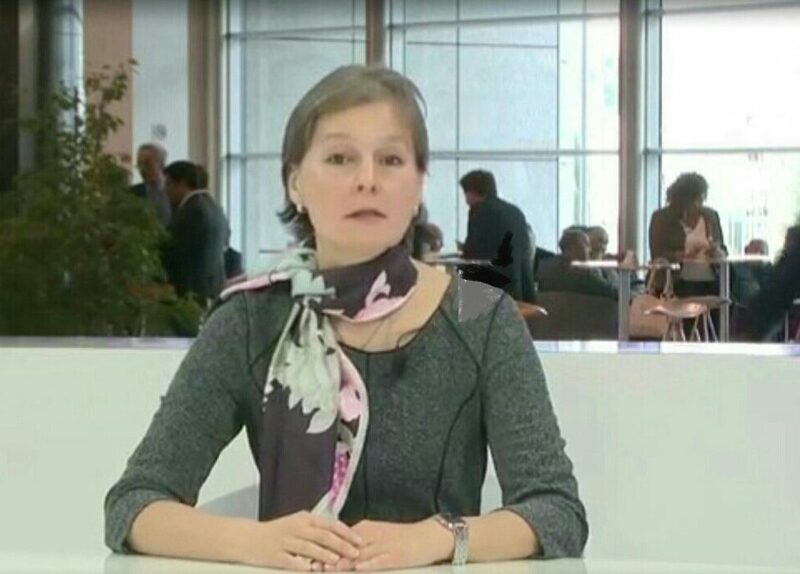 Anna van Densky OPINION The European Parliament Brexit negotiator Guy VERHOFSTADT (Belgium, ALDE) cancelled his press-conference, so did his major ally – Esteban GONZALES-PONS (Spain EPP). There are no traces of optimism in the corridors of power in spite of British Prime Minister Theresa MAY the last minute spontaneous visit to Strasbourg, attempting to obtain compromises on the Article 50 Agreement. However the legally-binding interpretations of Brexit deal will be hardly enough to convince the Westminster to accept it in tonight’s vote. In case of voting down the Article 50 Agreement the relations between the EU and UK will be entering the uncharted waters, as Prime Minister May has stated already. The extension of the deadline (March 29) is possible in the framework of the agreed Brexit only to avoid legal vacuum. The Remainers already threaten to sue their government in the European Court (CURIA) for breaching the Article 50, which clearly describes the timetable, and does not foresee any prolongations. 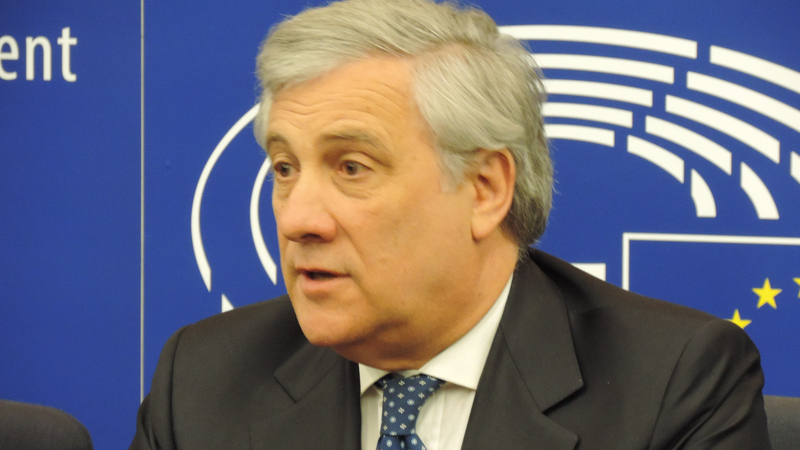 Originally there were two fixed deadlines: Brexit date on March 29, and the latest date of its possible extension on May 24 (European elections), before which the UK should leave, or it is obliged to participate, according to the Treaties to ensure the right of the citizens to elect their representatives to the European Parliament. In any case the status of the incumbent MEPs could not be extended beyond July 2, when the newly elected Parliament will be constituted. However there are very few politicians eager to model possible developments in case tonight of House of Commons will vote down the deal. It will be not only the downfall for Theresa May, and her government, but also considered as a major failure for the EU27 to secure orderly Brexit, preserving from blow economies, jobs, and citizens rights. The failure will certainly reflect on upcoming European elections disfavoring predominant political forces, unable to preserve mutually beneficial relations with one of major European economies. Amorphous Macron’s LaREM in identity crisis? Anna van Densky OPINION All new political parties and movements, who have not yet declared their intentions are categorised as “other” in the first chart of the European Parliament projection for the composition of the upcoming in May 2019 assembly. The Movement of the President of France Emmanuel Macron LaRem is among “others” – the political entities, who have not decided upon their political family 100 days before the European elections. Monsieur Macron has an ambition to lead Europe, but he is not able to decide his political color?... An identity crisis or “felix culpa”? The European Parliament has published a first set of projections on how the next chamber would look like based on national polling data taken up to the beginning of February 2019. Undoubtedly there will be voters dropping ballots for amorphous entities, which allow them to stay in grey zone of comfort, avoiding clear choice between classical political right and left, but in the end with the UK leaving the bloc, the identity crisis of the President of France political party is not a major challenge for the EU27. The turn out will be the major indicator for the life expectancy of the bloc. Will it stay or decline? Up to the European to decide. It does not make much sense to continue hiding President of the European Commission Jean-Claude Juncker‘s illness. The secrecy around it only nourishes abominable calumny about his presumed alcoholism, used by his political enemies to discredit his work. (Image: Daily Mail online newspaper). A problem of bending his joints has been visible for a couple of years already, and has caused embarrassment a number of times. Some medical experts suggest Juncker has an aggressive form of portraitists, provoking a continuous inflammation of his joints, a few times Bekhterev’s disease was mentioned, while analyzing his way of walking with difficulty of turning his head, and increasingly crooked back. Affecting the joints and heart, it doesn’t damage the brain, however only medical specialists know it, because among the broader public, it creates an image of someone, who is unable to carry on his public duties.